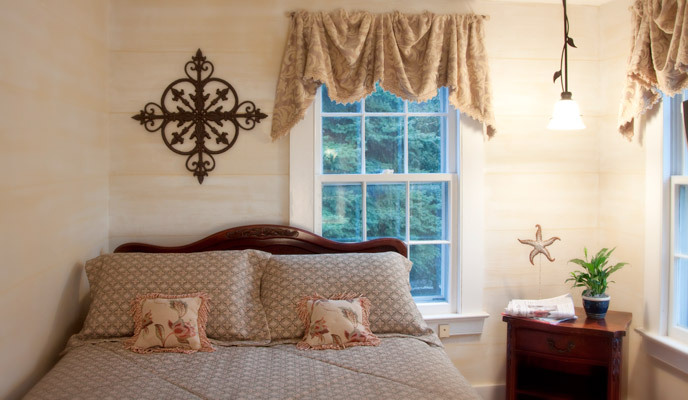 This room is named after the homestead’s original owner, Sereno H. Scranton. We like to think of him cozying away after a day of ship trading or planning for the building of nearby bridges. Tucked away in the rear of the home, it is a bright and sunny gem of a room with 4 big windows looking out onto the rear gardens. You also have a beautiful view of our giant Norway Spruce which is also the tallest in Madison. Serano’s Retreat has a full sized bed and a private bathroom with shower.